Yuri's Magnolia Blog: Magnolia's new Doo-Bee-Pops! Hi everyone! How are you all doing? I hope very well. 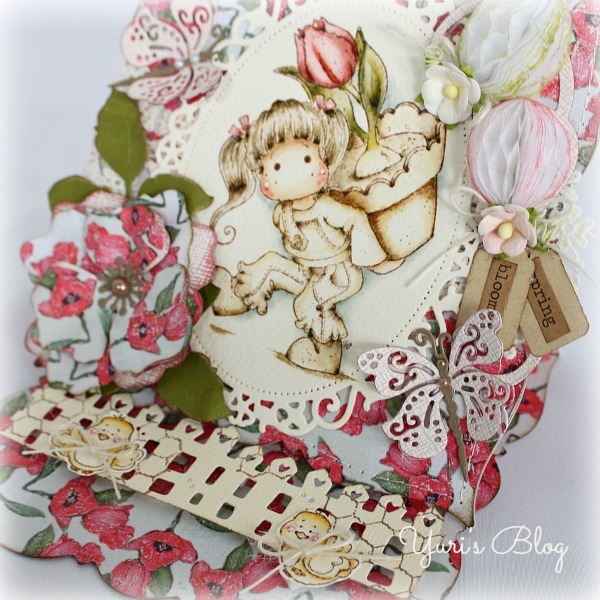 Today I'd like to show you a easter card that I made with the new Magnolia's Doo-Bee-Pops! It's like a honeycomb paper. I chose the white and made some eggs and added distress inks. I've also used the new Magnolia's Tilda With Big Tulip Pot from the new Little Easter Collection. 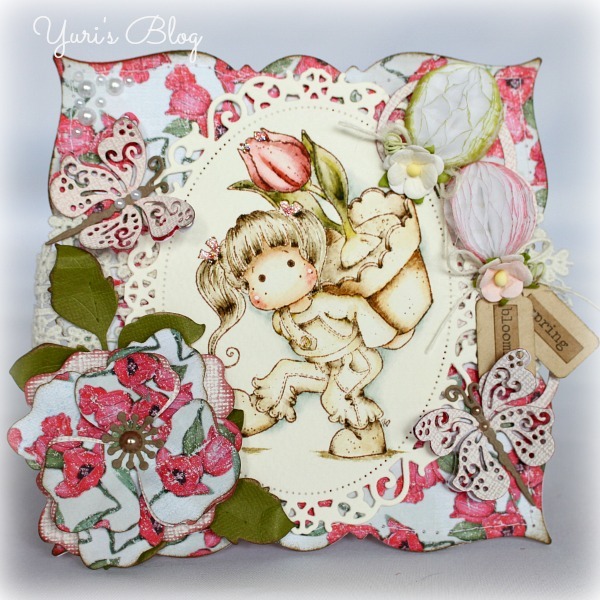 The gorgeous paper is Vintage tulips also from Magnolia's same collection. 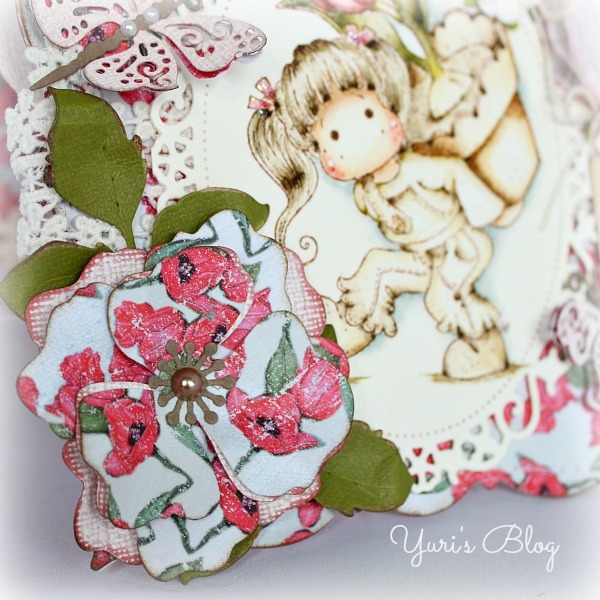 The Big peony flower is die cut using Magnolia's DooHickey's Dies. This card is shaped with a GoKreate die, called Large Frame Frilly #7. These so adorable little birds are Magnolia stamps, too. What a very lovely spring-feeling card ! Thank you for joining us at Tilda's Town this week. Christa. WOW, Yuri, you are simply amazing! You have a talent beyond words! This card is absolutely gorgeous, love the colours and your colouring is fabulous!! Beautiful card Yuri and I love your coloring and doo bee pops! Thanks for playing with us @ TIlda's Town this week. Success!